Nearly 422,000 people participated in the 10 days and nights that made up SXSWeek® last year. While numbers have yet to come in for SXSW 2018, there’s no doubt they will be impressive as well, and show the giant strides the event has made since its inception. Though hard to imagine, 31 years ago SXSW played host to only 700 attendees. Today, it’s a world-renowned destination, drawing people from 95 countries. And, these attendees aren’t your average Joes and ordinary Janes. A Forbes article labels SXSW attendees “first adopters” and “influencers.” It says, “Unlike CES, there are no gangs of business types, only creatures of culture to infect with ideas which, like a virus, spreads around the world with them after they leave SXSW.” This point hasn’t been missed by brands, both household names and start-ups, that seek to top each other’s activations every year. 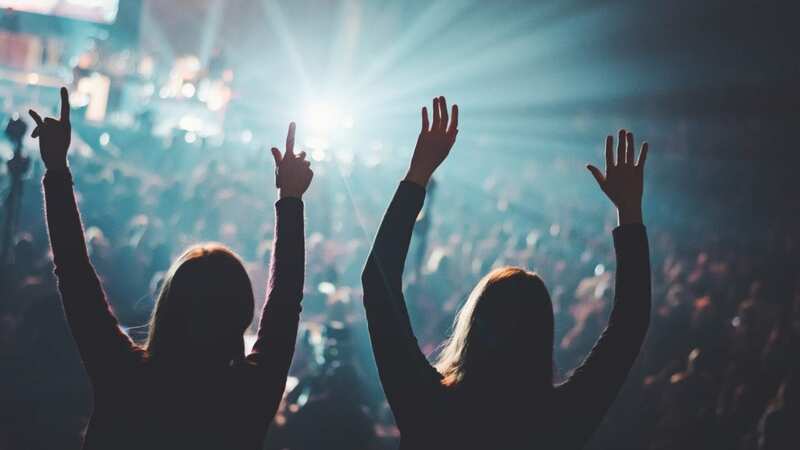 Recognizing the value these brands bring, SXSW organizers honored the top immersive experiences for the first time this year. Read on for the best brand activations – some you may not have even heard of yet. The SXSW Creative Experience Arrow Awards credited HBO and Giant Spoon with “best immersive experience” for their Westworld brand activation. Sony scored “best use of technology” for its Sony Wow Studio. And, while you’ve likely read about both of those SXSW 2018 activations, there are other standout experiences you may have yet to discover. Together, they show the diversity of experiential marketing for any industry and its capability to meet any goal. A CNBC headline declared Casper mattress company the “big winner” of SXSW 2017 through its efforts to bring comfortable and affordable accommodations to lucky individuals. This year another mattress company blew attendees away – or rather lulled them – with their experiential efforts. Simmons, as sponsor, helped bring the concert SLEEP to North America, with its debut at SXSW. The 150-year-old mattress brand also provided concert seating for the immersive, musical experience – in the form of its Beautyrest mattresses. That’s right; people came to a concert to go to sleep, but on another level. Doors opened at 11:00 pm. And, nearly 150 people took their places in bed, donning Beautyrest-branded eye masks, blankets and more. Soon after, composer Max Richter took the stage and led musicians in a lullaby of piano, strings, electronics and vocals, while projections of a moon and clouds set the scene. This went on for eight hours – a full night’s rest. Beautyrest’s purpose was to show its commitment to being “a sleep company,” not just a mattress company. It set out to amplify sleep for participants and help them move beyond the misconception that sleep is “simply our bodies ‘turning off’.” Instead, the activation celebrated “sleep as an active state,” helping everyone get the best slumber – a night that would “restore and repair” their bodies to reach their “full potential.” And, judging by the other best brand activations, participants needed the boost to take on all SXSW offered in its coming days. It was a decade ago when Twitter was the next big app at SXSW. Since then, the future of the social networking site hasn’t been clear, with users abandoning it for other, newer platforms. Yet, at SXSW 2018, it was apparent that being with Twitter was the place to be. 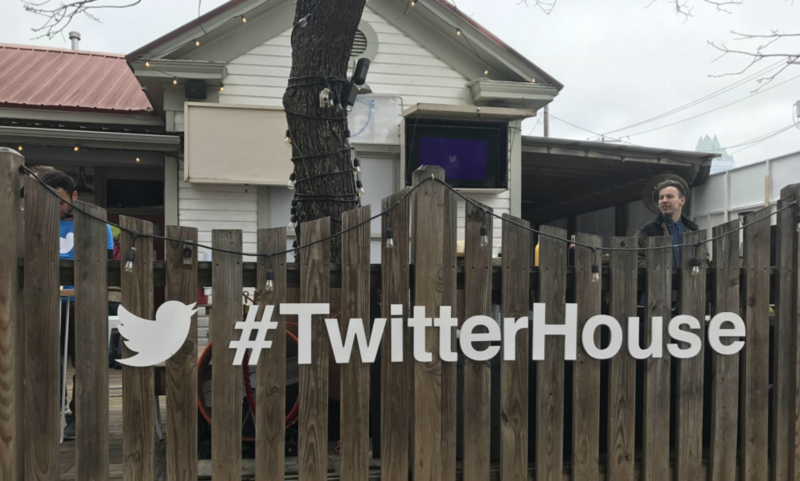 Women’s Wear Daily called the Twitter House “a party staple” over SXSW’s opening weekend. Its article rehashed Friday’s festivities there, mentioning hashtag balloons, a ping-pong table, hula hoops and music. But, perhaps, the biggest draws came from partnerships with other brands, like BuzzFeed, which hosted its “AM to DM” show on-site, as well as Wendy’s. The fast food chain executed a pop-up that served cotton candy-flavored Frosties in the perfect shade of Twitter blue. No detail was spared for this brand activation, making 280 characters insufficient for its praise. One may find it hard to believe that HP’s first SXSW activation would land it among the best brand activations. But, the technology company knew it was the time to be there and what it needed to do to get attention. In fact, in one day, it engaged with more than 5,200 creative professionals – the exact people the brand wants to make its customers. This was at its Digital Artistry House, which was only there for the one day, creating FOMO among attendees who waited in a long line for their turn. Once inside, they got to get hands-on with the HP ZBook. Four experiential stations drew their digital portraits or gave a professional demo. HP’s regional head of Americas marketing declined comment on how much the activation cost. But, she notes the return they’re seeing from their experiential marketing efforts. At the end of the day, she says, “The idea is to connect with our audiences in a really credible and authentic way where they are.” Knowing that success in experiential marketing is through these authentic engagements, it’s no wonder HP drew a massive crowd right out of the SXSW gates. At the heart of experiential marketing is the ability to personify a brand and make in-person connections. And, that makes it especially beneficial for those with no brick-and-mortar or physical presence. Yet, this doesn’t only apply to online retailers. It also rings true for news sources, like Fast Company, which has activated its Fast Company Grill at SXSW for eight years. The main events at the #FCGrill allow visitors to experience the publication’s most popular topics. They produce speakers and panels of the most creative people from the most innovative companies, like Salesforce, Microsoft and Patagonia, to name a few. In turn, these experts draw crowds hungry for their sage advice (and the food and drinks). Fast Company is also able to draw sponsorship from other leading brands to provide further value. For example, at SXSW 2018, L’Oreal was a highlight at the Fast Company Grill. The leading makeup brand brought new technology rolling out exclusive to Nordstrom, and it proved its ability to solve a problem for all women. Using a contact camera and “an iPad-powered algorithm,” a L’Oreal product specialist was able to give participants their precise foundation match, which, at Nordstrom, can be made while consumers wait. So, while other brands are introducing a few new shades, L’Oreal is going above and beyond with technology to provide the ultimate personalized solution. And, it’s one that worked in Fast Company’s favor to become one of SXSW’s best brand activations. The Fast Company Grill wasn’t the only brand activation using event tech to wow its visitors. Even Land O’Lakes, best known for its butter, employed virtual reality and other solutions to show attendees where its food comes from. Its goal was in the same vein of Simmons – to show the brand is more than its products. These companies are solving problems. And, sports beverage brand Gatorade set out to do the same, also relying on technology to get the job done. At first glance, Gatorade’s activation appeared to be nothing more than a pop-up shop, where one could find all the brand’s items. Yet, Adweek describes it as “slightly deceptive.” The products are actually part of an augmented reality experience – almost a game. That’s because visitors use iPads to find products in four Gatorade categories. Once they “unlock” all categories, getting to know the breadth of the brand’s offerings, they move on to the next stage. And, it’s located in a room in the back of the pop-up, disguised by refrigerator doors. It’s behind these doors that Gatorade is fulfilling its main goal – to help people understand the bigger solution it provides. And, that is how it fuels athletes to be their best performers. Adweek describes “a number of tech-driven programs that are designed with athletes in mind” beyond the doors, including “several VR stations (called Beat the Blitz).” To tie athletes and the Gatorade brand together, this program lets participants run quarterback drills with Peyton Manning. As they miss targets and get tackled, they get dehydrated and need Gatorade. When they run out of Gatorade, they run out of fuel, and the game ends. It was a fun way to engage the SXSW 2018 crowd and share key messages they aren’t soon to forget. Want to be in the know on the best brand activations? Sign up to receive our blog via email and stay up to date.